The nodes themselves can move. 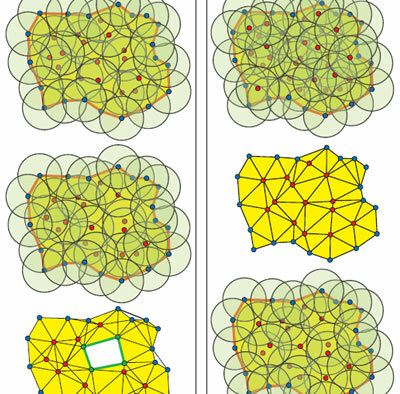 Each node connects in a radially symmetric domain. The authors use applied computational topology, in particular homology theory, to study holes in the coverage network. Addon: Кстати, ничего удивительного, что работа проделана не без участия DARPA – типично военная задача.